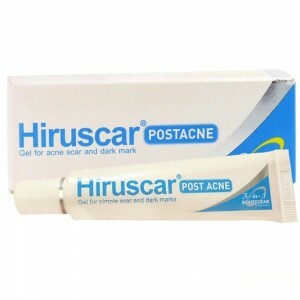 Hiruscar Post Acne, a Scar Clear Gel for acne scars and dark mark prevention. It is a 100% anti-bacterial formulation which provides scar clearing benefits for oily and acne-prone skin. Hiruscar Post Acne contains MPS, Allium Cepa, Pionin and other natural ingredients to improve acne scars and prevent the formation of new acne scars. It provides fast, easy skin absorption with a pleasant and non-greasy texture and can be used as a complement to any acne treatment and under daily make-up.